All has been quiet on the SpaceShipTwo test flight front in recent weeks, after the vehicle’s third powered test flight a month ago and a glide test a week later. Despite the lack of public test activity—and continued speculation of problems with the vehicle’s development, including in a recent book—Sir Richard Branson remains confident that SpaceShipTwo will enter commercial service later this year, perhaps after just a few more test flights. 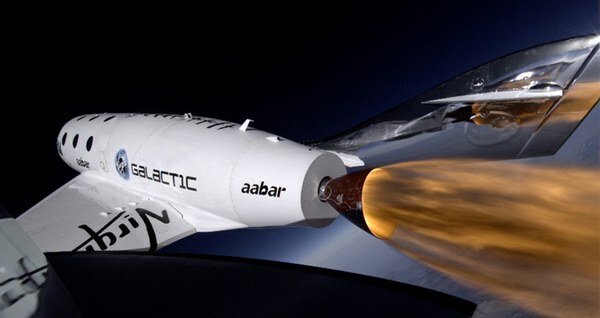 Branson also said Virgin was still planning to develop a spaceport in the UAE. “I hope we’ll have a space hub in Abu Dhabi in a couple of years,” he told the UAE publication The National. In April 2012, Virgin Galactic hired Steve Landeene, the former head of Spaceport America in New Mexico, as its “Chief Advisor, Spaceport Abu Dhabi”. What happened to their Kiruna, Sweden, plans….? Didn’t they have plans to start flying from there in 2018?